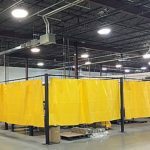 With the use of the AKON line outdoor industrial curtains you can separate your products, workers, and environment from the elements from the outdoors. 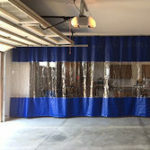 These large outdoor curtains are an inexpensive alternative to large doors and are a fraction of the cost. 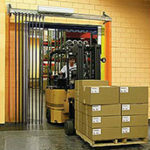 Installation is quick and side to side movement is available with the use of the industrial curtain tracks. For applications where large coverage is required. Akon can supply you with large outdoor curtains which can cover the sides of entire buildings. 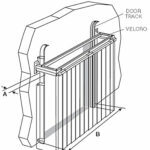 We will choose a material which is ideal for your application and which will ensure you and your internal environments are protected from the elements. 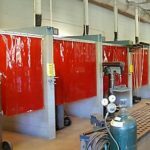 These industrial outdoor curtains are constructed of the same heavy duty vinyl. 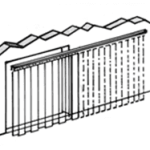 Unlike indoor industrial curtain walls, outdoor industrial curtain walls are exposed to wind, cold, rain, and UV light from the sun. 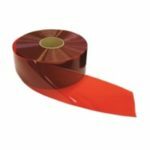 This requires the vinyl material to be at least an 18oz or 22oz coated vinyl. It is important that the material is a coated Vinyl as laminates when exposed to the cold can experience cold crack. 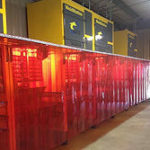 We can also provide insulated outdoor curtains for maintaining temperatures inside of your facility. are 54" in height but can be made to any size. the roof deck to the bottom of the joist or purlin. They can be rectangular or follow the slope of the roof. the floor wear them out. 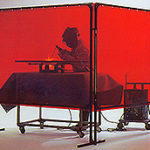 is present or a more secure curtain is required. cement floor. Typically spaced every 4'. 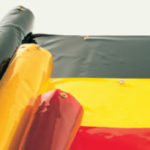 onto your curtain and can be placed in the field. 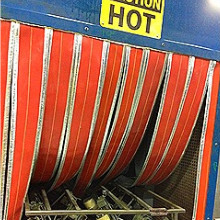 3/16" chain weight to the bottom of the curtain. 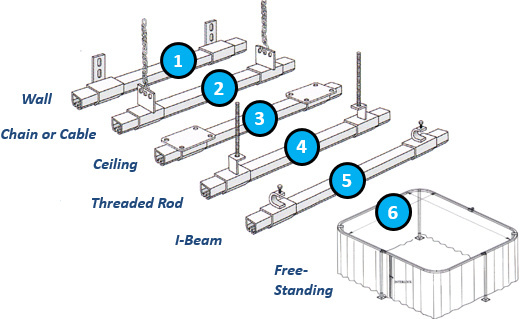 each other or adjacent steel walls and beams. and performance for motor traffic and high use. and closing, speed requirements and size. AKON can supply just about any layout you can think of. Below are some common styles. 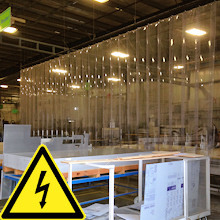 They can be single sided, double-sided, triple sided, four-sided or multiple straights to create complete enclosures. You simply inform AKON about your desired design and we will have it fabricated exactly as you need it. For customized layouts, sketch your design and upload it using our online RFQ form. See button below.